If you're a first time home buyer, you may not know what to expect when starting the home purchase process. You may know that it's generally a better financial move to buy a home than rent one. You may have decided you need additional space. You may be looking for a relatively stable investment in which to harbor a portion of capital. You might be buying a home for any of these reasons. Read up on the following eight expenses that you may have to pay when you purchase your home. Unless you're one of the privileged few who can afford to buy their homes all in cash, you'll be making payments against the cost of your home for many years to come. These payments will be made monthly to the lender who provides you with your mortgage. The recipient of your monthly payments may change if your loan is sold. 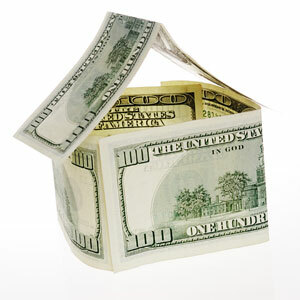 Your mortgage payments will account for the bulk of the money you will spend on your home. Most lenders will allow you to have these payments directly drafted from your account. In some instances there will be HOA fees to pay that will need to be paid separately from the mortgage payment sent directly to your lender. The down payment will comprise a significant portion of the money you spend on your home initially. The rate you qualify for will depend on a number of factors, but the #1 factor that will influence your payment is your credit score. Your rate, as well as the amount of mortgage insurance you pay (if you don't put 20% down) will depend on your credit score as well as the amount you put down. Conventional loans require a minimum of 5% down and typically will have significantly less mortgage insurance that an comparable FHA loan. However if the down payment is an issue, you may be able to take out an FHA mortgage with just 3.5% down. These can vary depending on the lender you work with, but a good rule of thumb is that costs will be about 3% of the loan amount. This covers lender fees, title fees, and prepaid items such as escrow. These funds will be paid at the closing when you're signing your loan documents. At that time you will bring all the monies due including your down payment and any closing costs not paid by another party. When you're signing your loan documents and reviewing all the fees discussed above, you'll be required to place the money in an escrow account. The escrow company will charge a fee for the service of processing the transaction. The escrow company will ensure that all funds are dispersed correctly to all the parties involved in the transaction. If you paid less than 20% of the home price as your down payment, you'll need to pay for private mortgage insurance. You'll pay monthly premiums until you've gained at least 20% equity in your home. The amount of mortgage insurance you pay will depend on your credit score and the amount you put down. There are a number of options to choose from when deciding which type of mortgage insurance is best for your individual situation. Lenders will require you to pay for and maintain a homeowner's insurance policy on the home that you've purchased, at least until you've entirely paid off your mortgage. Policy costs vary. Do as much research as is required to find the most affordable insurance policy. Typically bundling all your insurance (car, homeowner's, etc) with the same company will provide the best rates. This one goes without saying; you'll have to pay property taxes on your new home each year. Typically this will be part of your monthly payment, along with the insurance. Those two items will accrue in an escrow account and be paid each year by the lender. Many experts estimate that you should be prepared to spend at least 1% of the value of your home on home maintenance costs each year. This can add up to a significant amount over time. Don't neglect this expense. Maintaining the value of your property is crucial if you want to protect the money you've invested in the place and create a thriving home for yourself and your family.